Based on the idea of moving on and packing up. 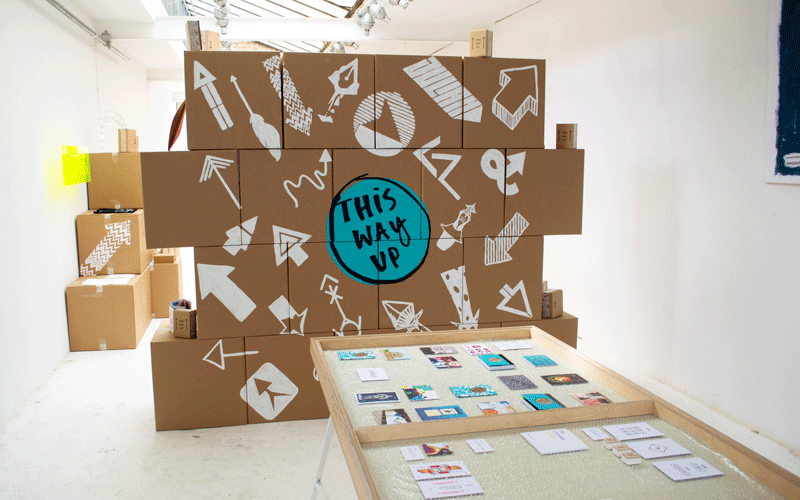 this way up was an exhibition built entirely from cardboard boxes and packing materials to form a completely versatile modular display system. This project was completed in collaboration with Daniel Barcza and Jitka Hruzová. Illustrated typography by Lily Jones.